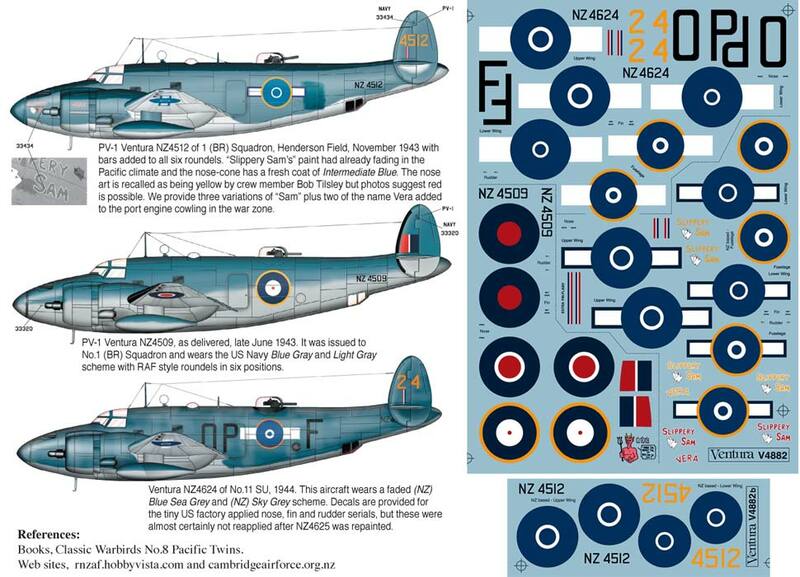 Details: This sheet was revised in 2013 and improved with "bar-less" NZ based roundels, corrected serials and three colour variations of nose art for "Slippery Sam". 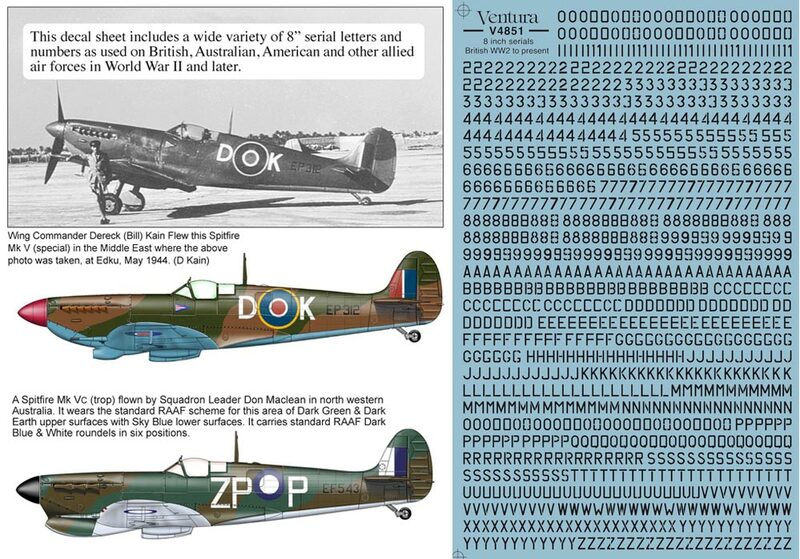 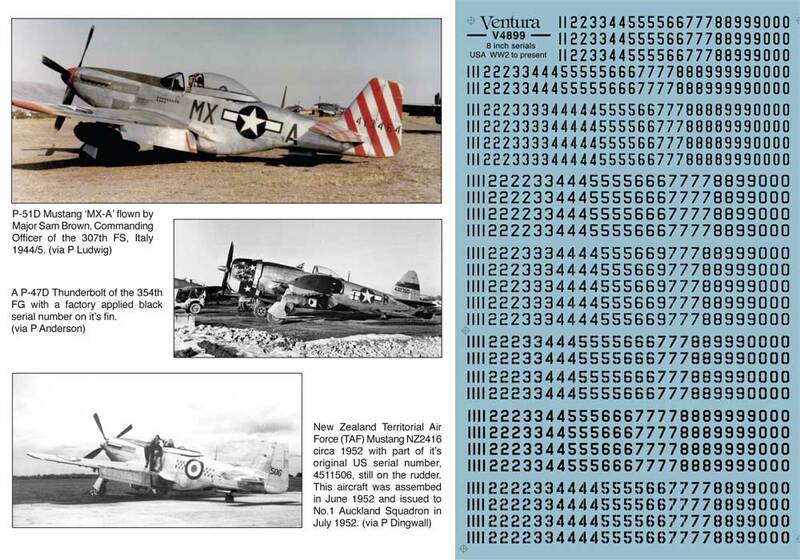 Factory applied "Works numbers" have been added for all three aircraft and research has led us to darken the colour choice for RNZAF applied Blue-white-blue roundels, as applied to PV-1 Venturas. 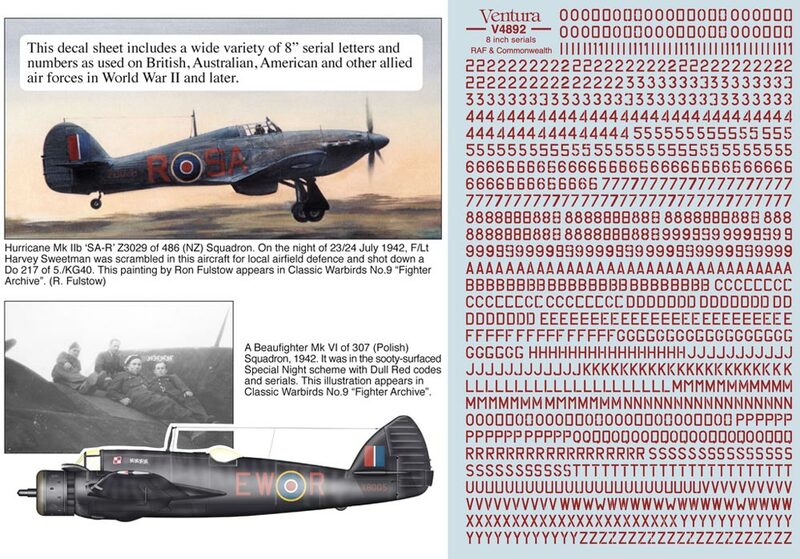 - No.1 (BR) Squadron and No.11 Servicing Unit. 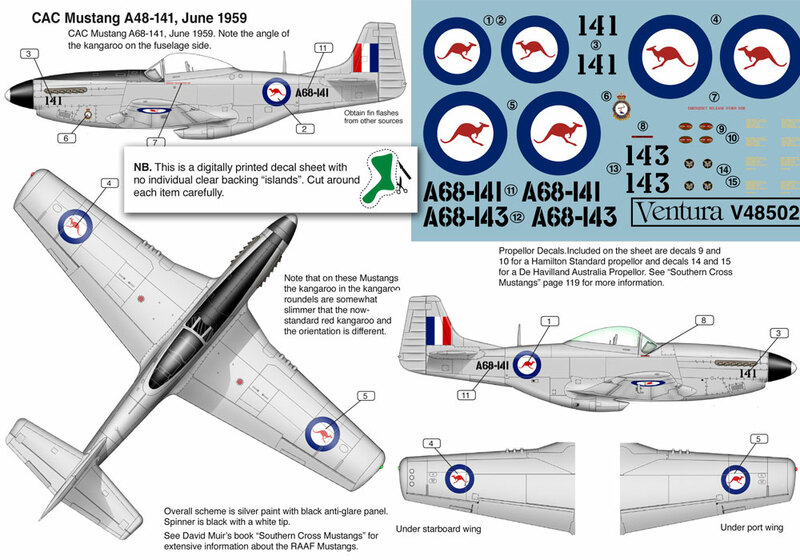 NZ4509, based in New Zealand, late June 1943 (US Navy Blue Gray and Light Gray scheme with RAF-style roundels). 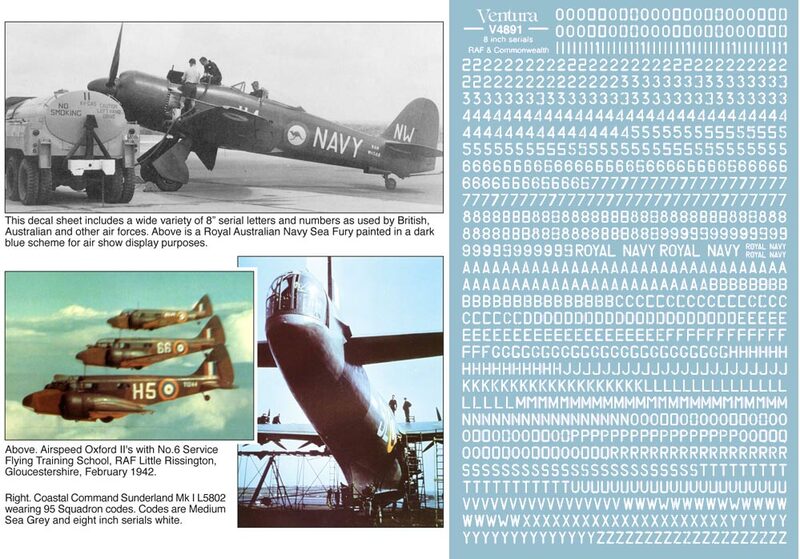 - NZ4512 "Slippery Sam" based in New Zealand, October 1943, US Navy ‘Three Tone Scheme’. 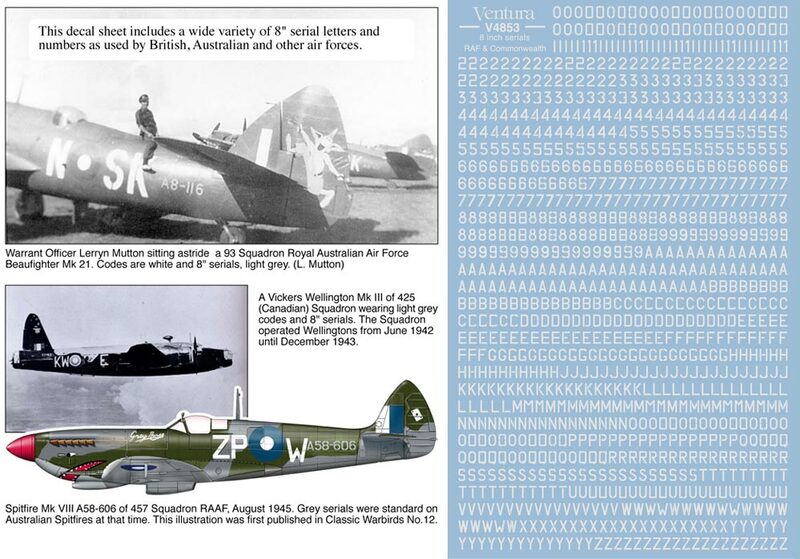 - NZ4624 of No.11 SU, 1944 (NZ) Blue Sea Grey and (NZ) Sky Grey scheme.